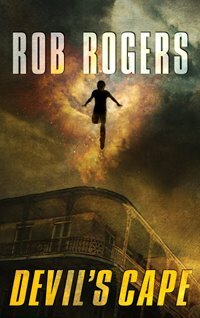 I'll be appearing at the Louisiana Book Festival this weekend talking about Devil's Cape, so if you're in that area, come by and say hi. 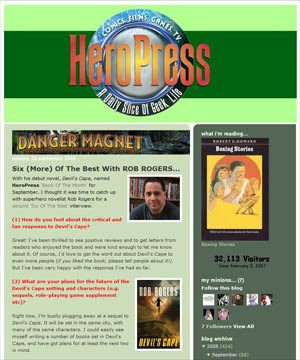 I had a fun being interviewed again by HeroPress, where Devil's Cape is the book of the month for September. Check out the interview, where I talk about who I'd cast in a Devil's Cape movie, among other things. And stick around that site for other cool stuff. Your typical soda fountain in a fast-food joint features eight boring choices, usually offering nothing more exotic than "Orange." It's been that way for decades, but one of the oldest players in the market is finally shattering that paradigm. 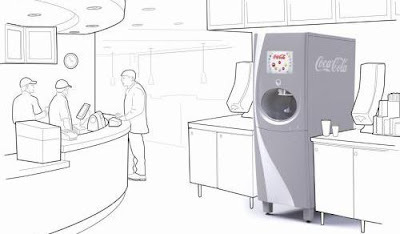 Coca-Cola is introducing a machine that can pour 100 different flavors. Early prototypes underwent testing earlier this summer and second-gen units are headed for limited markets early next year -- the same thing they said about those self-cooling bottles last year. Assuming they do come to market, swapping out the highly-concentrated flavors is likened to changing a print cartridge, meaning new choices can come and go quickly depending on popularity. It all sounds refreshing, but we're not looking forward to the lines as the thirsty yet indecisive ponder 15 different flavors of Diet Coke. Sign me up! Before we moved, I used to make a morning religious pilgrimage to the local QuikTrip where I could mix up my coffee any way I wanted. I could have lots of fun playing around with a 100-flavor soda machine (as long as I could avoid diet flavors). Gary Greenwood's Stained, Glass Windows blog (and, before it, Pop Candy, if I remember correctly) put me onto this cool tool called Wordle, which creates word clouds from any large chunk of type you enter or paste there. The clouds give some prominence to the words used most frequently. For the heck of it, I plugged in the text of Devil's Cape, and the results look pretty cool, methinks. 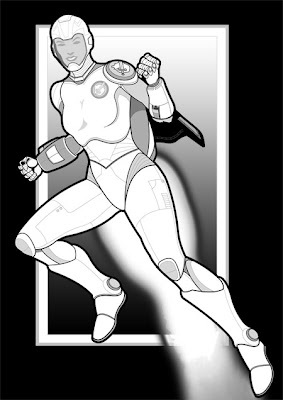 A much-belated post: As I reported a long time ago, I won a caption contest over at HeroMachine, and as a result, artist extraordinaire and all-around-cool-dude Jeff Hebert agreed to illustrate a Devil's Cape character for me. I'm very happy with the results. Thanks, Jeff! I was excited to see that Devil's Cape has been featured as the "Book of the Month" at Acrobatic Flea's HeroPress web site. Rob Rogers' debut novel, the superhero/crime story Devil's Cape is simply phenomenal. It's difficult to believe this is actually his first full-length piece of published writing as the story is told with the assured professionalism of an old pro. Check out his full review here. And while you're there, browse around a bit. This is an excellent site with lots of discussion of gaming, sci-fi, and more. Thanks, Flea!